Home Inspection | Priority Inspections Inc. Welcome to Priority Inspections Inc. When purchasing or selling property, it is important to choose an inspection company that always puts you, the customer, first. Priority Inspections, Inc. is a local, family-run business with over 30 years of inspection experience and an extensive background in the construction and real-estate industry. We at the Priority team always make you our first and only priority. We have the expertise and attention-to-detail to make informed and accurate assessments of your property. Our goal at Priority Inspections, Inc is to provide the most comprehensive, professional, and honest services in the consultation and home inspection industry so that you can move forward on your real estate transaction with confidence. The Priority Team takes pride in setting new standards in the industry for professionalism and excellence. Priority Inspections not only has the well-rounded background experience necessary to deliver a inspection, but we are family-run business of Master Inspector Consultants who has been operating in the Greater Rhode Island area for 24 years. We have completed well over 20,000 full-service inspections. Our integrity and quality of work shines through in our testimonials. 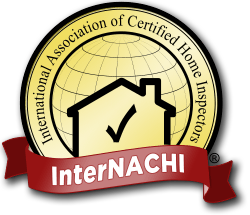 Our home inspection reports are detailed, comprehensive presentations that can be accessed shortly after your inspection through our website on any computer or mobile device. Each inspection report includes the option to utilize a handy feature called the Create Request List. The Create Request List feature allows for the buyer or agent to easily and quickly formulate a list of the findings from the inspection that require action or attention. It facilitates communication between all parties involved in the negotiations by clearly displaying any defects from the inspection and what steps if any should be taken to remedy them. To provide the most Comprehensive, Professional, Honest, Caring Services available in the Consulting and Inspection Industry. To help our clients achieve informed Knowledgeable Assessments of their property.